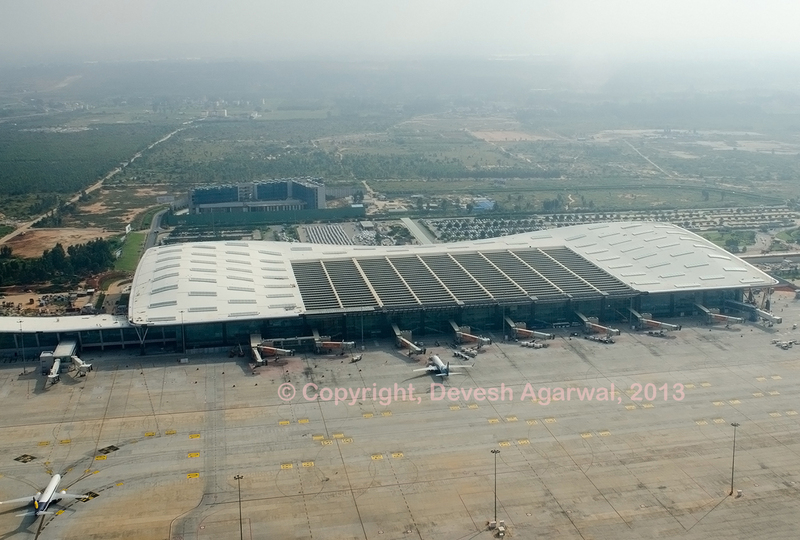 Home >> Airports >> Indian airports >> Bangalore-Kempegowda International >> Bangalore airport highway toll quadrupled. Disruptions expected. 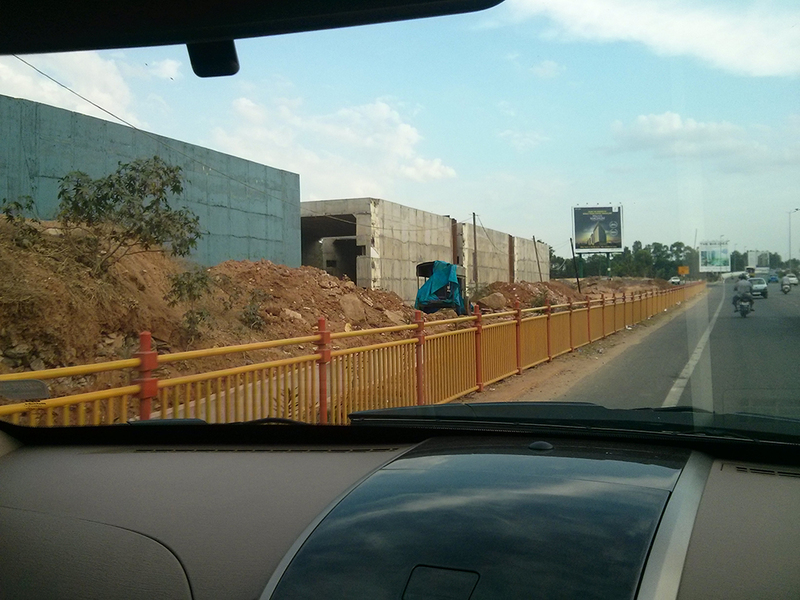 The new toll plaza on the Bangalore airport highway. 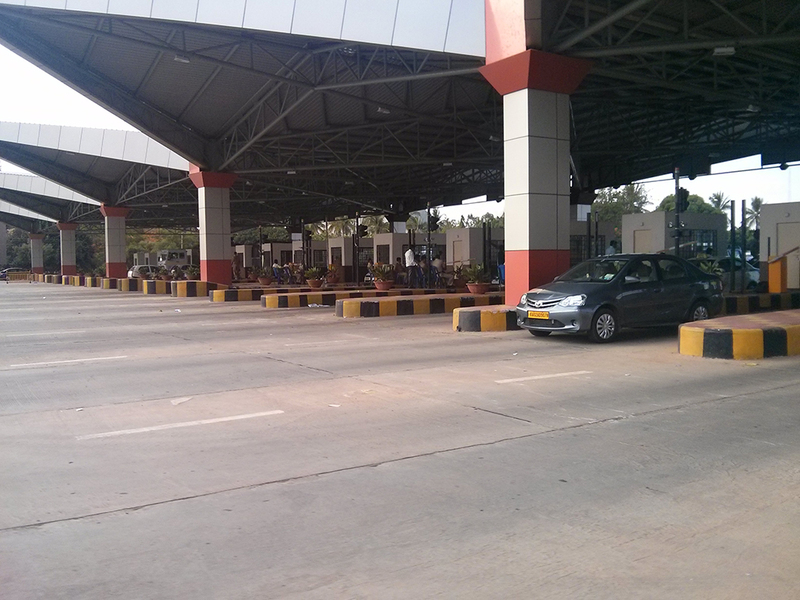 This picture does not reflect the massive traffic jam on just the other side of this toll plaza. 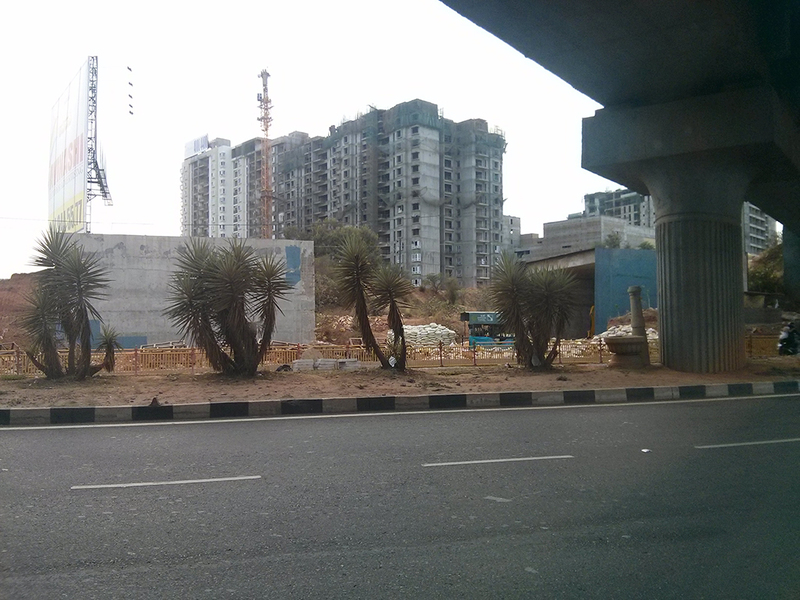 Bangalore airport highway toll quadrupled. Disruptions expected. 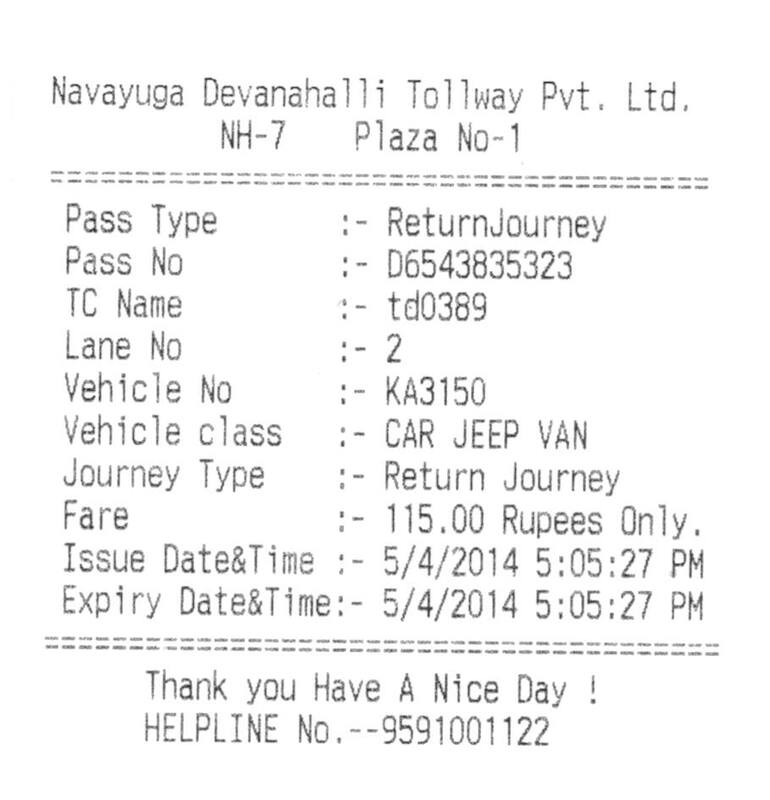 Navayuga Devanhalli Tollway Pvt. 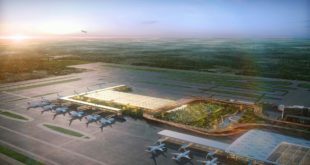 Ltd., the company responsible for collecting toll on the airport highway has almost quadrupled the tolls charged for the highway to Bangalore airport. The toll for cars has been hiked from Rs. 30 by almost 400% to Rs. 115. This is creating outrage amongst all the cabbies who are running to and from the airport. 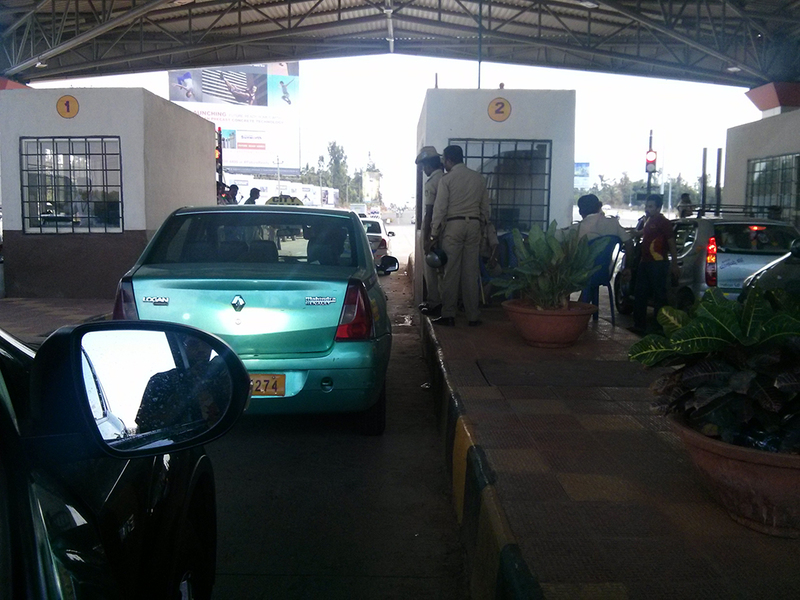 Most of the cabbies are stopping at the toll booth and refusing to pay the new rates. This situation is creating massive traffic jams at the toll booths. Strikes and disruption of service is expected as the cabs intensify their stir. 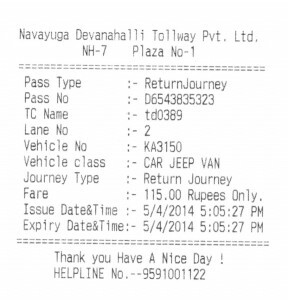 The toll ticket showing the new toll rate. I pulled into the second lane at the new toll plaza and there were two taxis in front of me, I then stood at the toll plaza for the next 20 minutes while the two cab drivers argued booth operator. Only after I got out of the car and shouted at them to move their cars to the side and let others go did the cops sitting all around the booth intervene, it looked to me like both the cab drivers were let through the booth without paying the toll. Airport taxi drivers fighting with toll booth operators over the hike in toll. Even the private Indicab driver (right) was fighting with the booth operator. This seemed to be a recurring theme at all the booths, every cab driver was refusing to pay the new toll rates. The cops stationed at the booths don’t really seem to be interested in the jam that these guys are creating. A puzzling part of this whole story is that the road has not even been fully completed, things like the widening of the road under the railway tracks have not been done, so how are they being allowed to increase the toll without finishing the road? Magic boxes lying on the side of the unfinished road. A Rs. 115 toll on a road of just about 25 kms seems to be massively overpriced to me. That works out to a little less than Rs. 5 per KM. Considering the high airport user development fees and even more exorbitant road taxes that we pay on our cars, which is collected by the government to supposedly build and maintain roads, why are such massive tolls being allowed? Do you think the new pricing is fair? Or are you also outraged? Share your thoughts via a comment.